A lively support set from talented young Australian troubadour Harry Marshall began the evening. At 20 years old he is chasing his musical dream, from rural Queensland to Camden via Paris. 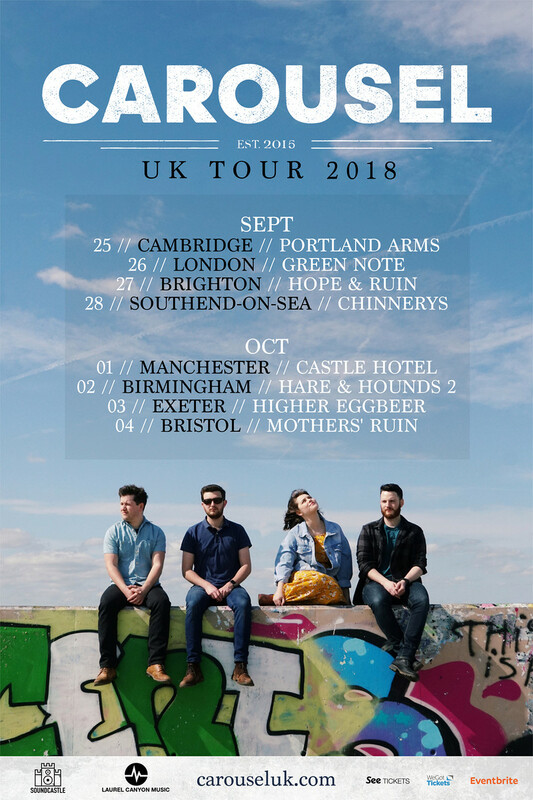 Carousel are a talented UK Americana group with stunning harmonies. 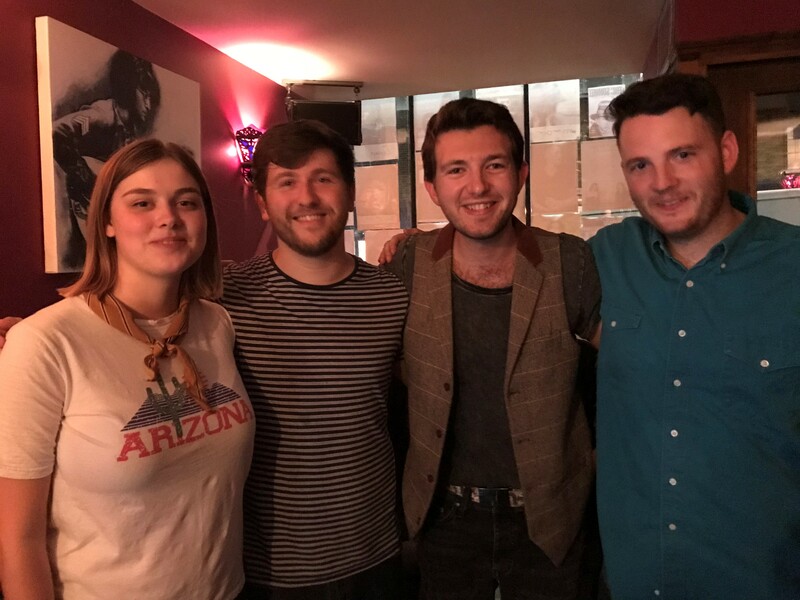 They are Chris Hobart on vocals and acoustic guitar, Sarah Holburn on vocals, mandolin and harmonium, Tom Eatherton on vocals and electric guitar and Toby Shaer on fiddle, cittern and vocals. Americana with a folky feel, largely due to Shaer’s vivacious fiddle playing, this group’s harmonies hit you between the eyes and leave you reeling. Inevitable comparisons will be drawn to The Wandering Hearts, UK Americana’s current darlings. Carousel’s style differs with the instrumentation of the band, with electric guitar, harmonium, fiddle and a vibrant edginess. They don’t hold back. They go for it, with passion, balls and gusto. And it works. Perfectly. On the second night of the group’s first headline tour Camden’s intimate Green Note welcomed Carousel with open arms. The band began with the atmospheric opener Seconds with rich harmonies to the fore. Dead Horse followed with Holburn on mandolin and they began to open up with the vocals, squeezing out every last drop. The slower-paced In The Wild saw Hobart, who took the lead on the majority of tracks, on vocals and Smile Away From Something was one of three numbers featuring Holburn who has a gorgeous voice. My Father’s Son, not the Joe Cocker track, brought Eatherton to the microphone for an emotional rendition. Fittingly his father, who had travelled from France, was in the audience. After a short mid set break the band roared back with Firesong and vocal pyrotechnics so strong they bordered on the aggressive. The rockier Man On The Run led into Don’t Let It Die with the harmonies centre stage again. The gentler Comfortable Skin, a song about mental health and “being there for someone” featured Eatherton on vocals. These Hands picked up the pace, leading to an extended version of the group’s single Porcelain and the raucous encore of Show Yourself To Me, with eager crowd participation and the award of a signed tour poster for an audience member for “the best clapping”. This foursome will remember their first London headline gig for the rest of their promising career. Bring on Brighton tonite and Southend tomorrow.